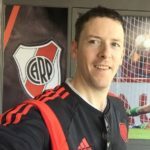 Gonzalo Martínez - River Plate's Next Playmaking Export? 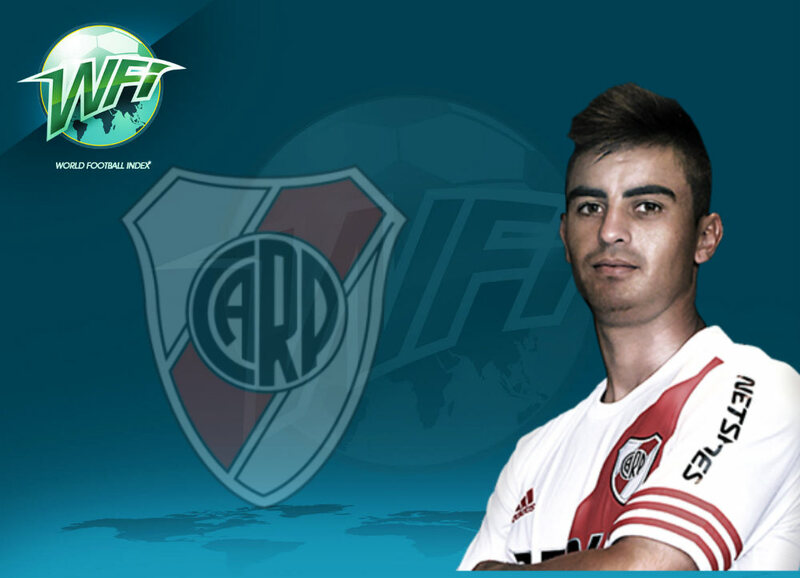 Gonzalo Martínez – River Plate’s Next Playmaking Export? The path from River Plate to Europe’s big leagues is a well-trodden one. Alfredo Di Stefano was the most famous but not the first man to make the move. The most recent examples experiencing success are Erik Lamela and Manu Lanzini. The next man likely to make the jump is left-footed playmaker Gonzalo Martinez. ‘Pity’, as he’s simply known in his homeland, hails from the western wine-growing region of Mendoza in the foothills of the Andes. However, it didn’t take him long to make the move East to the beating heart of Argentine football, Buenos Aires. Aged 17 he signed for a medium-sized club Huracan in the working-class neighbourhood of Parque Patricios, the equivalent of a Southampton or Stoke in the Premier League. It was here he emerged as a rising star in the national game, forming part of the Copa Argentina winning-team of 2014. Not long later, his talents had attracted the interest one of Argentina’s giants — River Plate — and the deal was done for him to move across town in January 2015 for around US$4m, just in time for him to be part of the glorious Millonario team of 2015 that became continental champions and were Barcelona’s opponents in the World Club Cup final. It was not long into 2016, though, before there was a sense of disappointment in the stands at El Monumental regarding his performances. He was clearly very talented, but struggled to offer an end-product on a regular basis. By the end of 2016 he was being booed by sections of River’s fiercely demanding fanbase, and even had his car vandalised as frustration spilled over into violence, a scene sadly familiar in Argentine football. At the start of 2017 his fortunes began to change. Club icon Andres D’Alessandro moved back to Internacional of Porto Alegre after a year-long loan, and Pity found that with Leonardo Ponzio and Ariel Rojas covering his defensive duties in midfield, he was free to rampage forward, and the team now looked to his inspiration a lot more in the absence of D’Alessandro. Throughout 2017, Pity created havoc for opposition defences. His dribbling and the famous Argentine “gambeta” – the trickery required to take on a man and beat him, were flourishing. His performance away to Boca Juniors in May 2017 summed up his year. He was unstoppable down the left flank and scored a superb left-foot volley to give River a 1-0 lead early on in a famous 3-1 win in that particular Superclásico. Nevertheless, 2017 will always be remembered at River for the remarkable meltdown in the Copa Libertadores semi-final vs Lanús, losing 4-3 after being 3-0 up and coasting towards the final in the second leg. Martinez was helpless to prevent this, but the year did end on a high note as River won the Copa Argentina for a second consecutive year, meaning he personally has three winner’s medals, more than any other player in the cup’s short history. 2018 has continued much in the same vein. Martinez was inspired as River gained another famous win over Boca Juniors in the Argentine Supercup in March. His step-over in a well-worked counter-attack unlocked Boca’s defence and secured the trophy in a much-hyped game between Argentina’s two biggest clubs. As I write this article the club is negotiating to increase his release clause to €22m (up from €15m), as interest from Europe is likely in the summer. He has been linked with Sporting CP in several previous transfer windows, but a satisfactory offer never arrived. Even Argentina’s richer clubs are poor relations compared to giants from Europe, USA, China, and even Mexico, so losing your star player is a fact of life which teams are used to here. So what will a potential suitor get for their money? The answer is another attacking gem emerging from South America with a potential future at national level. Pity has a magical left foot and an agility on the ball that allows him to turn any fullback inside out and bring a stale attack to life in a flash. He has mostly played down the left wing in a 4-4-2 formation for Gallardo’s River sides but is well suited to occupying any of the three slots behind the striker in a 4-2-3-1 system. His main problems so far have been consistency, and his delivery of dead-balls could also improve. A potential buyer will also be very keen to avoid the long two-year wait River Plate fans had to endure to see him deliver at the highest level. Given his talents, expect a well-known European club to take a punt on him this summer. Failing that, River Plate fans will get to enjoy his gambetas for a little while longer.